From its modest beginnings in 1975 when it opened its first Les Anges Montessori Academy for toddlers, Beaconhouse has extended its reach through a global education network that is now one of the largest in the world. An organisation that values its heritage while it continues to reinvent its educational provision to meet the needs of a future generation, Beaconhouse is now a major force in the education world, with an ever-expanding base already established in the UK, Malaysia, the Philippines, Thailand, Pakistan, the UAE, Oman, Bangladesh and Indonesia. Dynamic and constantly evolving, Beaconhouse provides an innovative and progressive education to 308,000 students worldwide with an unprecedented diversity in age, socio-economic background, and nationality. Of these, around 101,000 study at the group's flagship network, the Beaconhouse School System, while the remaining students are mostly enrolled at The Educators, a parallel school network operated by the group. 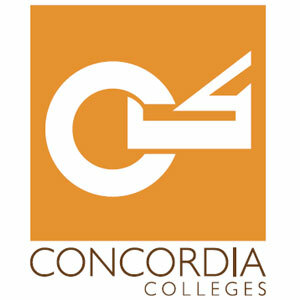 The group has over 13,000 employees, of whom approximately 7,400 are teachers. Beaconhouse has always given utmost importance to the development of human capital and has an exemplary and flexible professional development programme for its teachers. 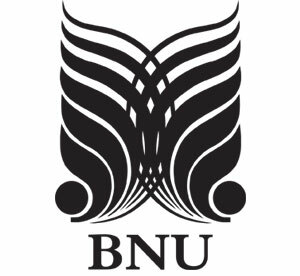 It also takes an avant-garde approach to learning: it introduced the concept of project-based learning to Pakistan through TNS Beaconhouse, launched The Educators and Beaconhouse National University, secured the master franchise for Gymboree in Pakistan in 2010 and has now become the first major school network in Pakistan to offer the International Baccalaureate. Beaconhouse has come a long way since 1975, growing into an international organisation with a presence in several countries, and setting new milestones in private education. A household name in many countries, most notably Malaysia and Pakistan, Beaconhouse is one of the few 'multinational' schools that exist today and continues to consolidate its brand across Europe and Asia, successfully achieving a consistent image across a broad range of cultures. The Beaconhouse Group received the Brand of the Year Award in 2011, a first for any school system in Pakistan. It also achieved the distinction of an overall brand quality survey rating of A+. In 2012, the Beaconhouse Group received four prestigious awards: the Star Brand of Pakistan and the Brands Icon of Pakistan awards for the Beaconhouse School System; the Brand of the Year Award for The Educators, and the Emerging Brand of the Year award for Gymboree Play & Music. The Brand of the Year Awards are organised by the Brands Foundation, a public company monitored by the Government of Pakistan. When the World Bank, through its private sector wing, the IFC, entered into an unprecedented financing arrangement with Beaconhouse in 1996, it was yet another indication of the quality and innovation we are associated with. The project was aimed at the construction of new school campuses and represented the first time in its history that the World Bank had extended its arms to the private education sector - anywhere in the world. In many ways, this led to a paradigm shift in the way banks perceived schools, thus paving the way for many others. The student base of Beaconhouse continues to grow at an impressive rate and the overall growth rate of the organisation is expected to increase further as Beaconhouse continues to focus on acquisition based expansion. Already firmly established in Pakistan, Beaconhouse opened a small school in Malaysia in 2004. The Beaconhouse network now extends across Malaysia, Pakistan, the Philippines, Indonesia, Thailand, Bangladesh, the UAE, Oman and the UK. Cherub Nurseries & Preschools Based in Yorkshire, England, Cherub is a well-established group of three nurseries and preschools within half an hour of each other. The Cherub group was established in 1976 and is considered to be a leader in childcare in East Yorkshire. It has to its credit a number of innovations, including being one of the first Nursery groups in Yorkshire to implement a sophisticated web-camera solution, enabling anxious parents to view their children over the Internet. 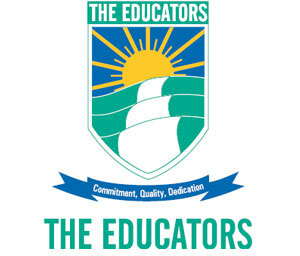 Established in 2002 in Pakistan, The Educators is a parallel private school network owned and operated by Beaconhouse that aims to impart a standardized quality of education across the nation at a tuition fee that is a fraction of the fee charged at Beaconhouse. The Educators operates through a model of network associates (franchisees) in which Beaconhouse is the franchisor/service provider. Leveraging on 17 years of success and experience in education, The Educators has experienced phenomenal growth to become the country's largest school network. With over 900+ Schools and a student body exceeding 200,000+, The Educators has created over 9,000 job opportunities in a relatively short period of time. The overall aim of the organisation is to provide a quality learning environment for students and quality training for the faculty through excellence in education within the relevant socio-cultural framework of Pakistan. The Educators' success lies both in its strong brand as well as its ability to continuously add new products and services for its Network Associates. 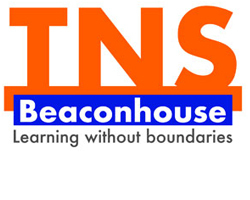 The establishment of TNS Beaconhouse in Lahore in September 2007 was to a great extent influenced by the first-ever international conference on education in Pakistan, 'Towards 2035: The School of Tomorrow' hosted by the Beaconhouse Group in 2005. The conference addressed the changing role of education and the nature of schools over the next 30 years and beyond, sparking a quiet revolution at Beaconhouse. TNS was the first school in Pakistan to embrace the Reggio Emilia Approach, based on the concept of 'learning by doing', and is now the first school in Lahore to be accredited by the International Baccalaureate Organisation. Beaconhouse is the only authorised franchise of Gymboree programmes in Pakistan and launched its first centrein Lahore in February 2011. Gymboree is the worldleader in early childhood development and has a presence in 37 countries. Its programmes are also recognised for the unique approach to parent involvement which encourages participation in andunderstanding of each child's development. Gymboree Play & Music received the Emerging Brand of the Year Award in 2012. Established in 2006, The Early Years is a child development center for children aged 3-36 months located in modern, purpose-built premises in Lahore. Founded on the belief that young children need opportunities to interact with the environment, to explore and to learn by 'trying out' things for themselves, it led the way for a new generation of child development and daycare centres in the city. 'Bubbles' is a one-year playgroup programme developed by Beaconhouse where parents, teachers and children work together, forging stronger connections between home and school. Children are helped to enhance their creativity and independence, and experience a range of encounters through which they learn to interact with the resources and individuals in different settings. The programme is currently offered at selected schools in Malaysia and Pakistan with plans to extend to other schools in due course. The Discovery Centre was established in Karachi in January 2002. The Centre's philosophy is to engage students in their project-based learning through integrated technologies such as digital filmmaking, computers and the Internet. Initially offering only short courses and workshops, the Discovery Centre launched its Smart School three years later, catering to children from Class 1 to 8 in a full-time school environment. The Discovery Centre's air-conditioned classrooms are equipped with computers, scanners and uninterrupted internet connectivity for a complete learning experience. Concordia Colleges under the umbrella of the Beaconhouse Group aspire to offer world class education in an innovative and technology-enabled environment at an economical cost. 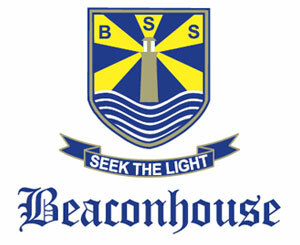 Beaconhouse is the largest and most successful school system in Pakistan. Our vision is to establish a House of Wisdom at the national level with a distinctive approach to cater for the current and future educational needs of the country. It will free our students from rote- learning and tuition needs. We are focused on developing intellectually creative and confident students who will be capable of meeting any challenge in their lives. Our teaching methodology will make us unique. We will accomplish our mission by fulfilling the social responsibility of bringing a positive change to the society in terms of quality education and intellectual development.